A better understanding of the mechanisms of pili, the hair-like surface appendages on bacteria that kickstart infection, could hold a key to developing new and more effective therapeutics, according to a new study. Antibiotic resistance is an urgent problem globally when treating infections, and scientists continue to search for new ways to combat it. The new research could be another step in that direction. 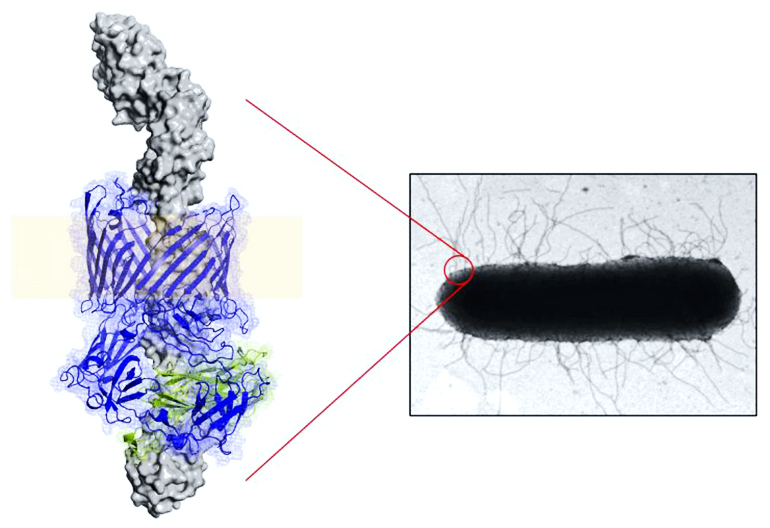 David Thanassi, chair of the molecular genetics and microbiology department at Stony Brook University, and colleagues used an advanced imaging technique called cryo-electron microscopy to examine pili that uropathogenic strains of Escherichia coli assembled. E. coli is the major causative agent of urinary tract infections. The imaging captured a previously unrecognized stage in the pilus assembly process. “Our findings open the door to new therapies targeting bacterial pili, and related virulence factors, as an alternative to traditional antibiotics,” he explains. A grant from the National Institutes of Health’s National Institute of General Medical Sciences supported the research.